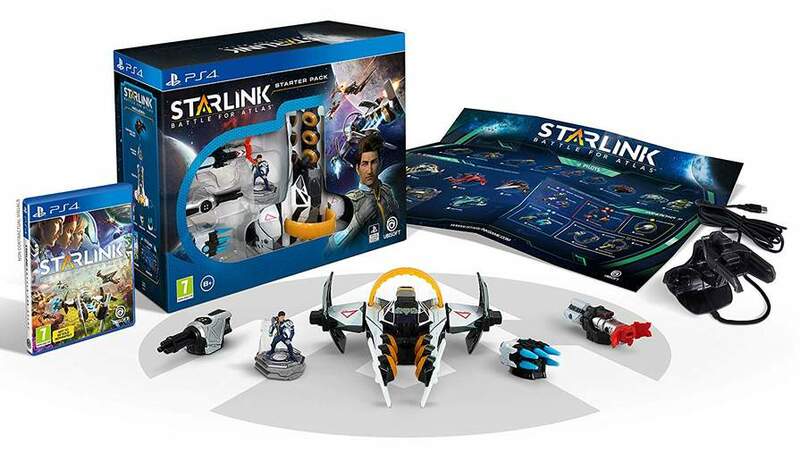 In Starlink Battle for Atlas, lead a heroic team of interstellar pilots to free the Atlas star system from the Forgotten Legion. Innovative modular toys allow players to build unique starships which can be customized on the fly for a new way to play as players adapt to overcome any challenge they encounter in this epic open world adventure. +heat. An excellent price for a good game. Playing it at the mo. Not a bad game in any way. Playing this on the switch - I think it's great so far. £15 by jan. Toys to life is a dead genre, and this reinforces that. Yes - but it sold fairly poorly and takes up a lot of shelf space, hence retailers now being keen to clear stock. Im really enjoying it and as all of the ships pilots and weapons are on sale too now is the best time! I would suggest the Nadir ship, as its the only "outlaw" ship and if you get the "outlaw armour" mod during the game you can fly through the outlaw hideouts without the magnetic mines getting all up in your business! And if you also get Eli and Kharl (pilots) levelling these 2 up will let you access the Equinox upgrades that are specific to having these characters. So in short, one extra ship and 2 extra pilots will let you access pretty much everything. Tempted to get this now, just for the Star Fox stuff! Also inbetween , to order or not ? 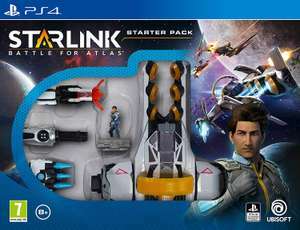 It's a really good game, nice big open worlds across 7 planets, but it was just too expensive at launch for a toys to life game where the ships cost £25, the weapons £10... You can get it all digitally in game but the point is to physically swap weapons etc and the Starter Kit doesn't have any extra pieces to swap between. On Switch though you have Fox and his Arwing which has lasers so take off a weapon and you can default to use those which are better in some situations, I don't know if the other ships have built-in weapons. Well worth picking up, although probably for 7 or 8 year olds and older as it's a little difficult and basically all about flying and shooting stuff. Cheers, Managed to pick it up for under £5. Should be delivered tomorrow. Edit: Used Quidco, so might actually be close to free. looks a good deal! 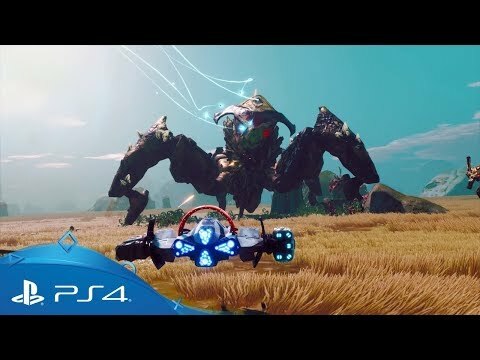 dos anybody know if the base is multi platform (so i can buy it for the switch but the kids can also play it on xbox if they purchase a digital copy). hope that makes sense..
Should probably be mentioned (and maybe added to the OP) that Game have dropped the cost of the add-on packs too. Ship packs are now £13.99 down from £24.99, Weapon Packs £5.49 from £9.99 and Pilots £3.99 from £6.99. my 6 year old daughter wants this after seeing the adverts, for me it looks like it might be a bit complex for her, is it easy it play? Can't see anywhere on their site to contact them. what does Battlefield have to do with anything? my 6 year old daughter wants this after seeing the adverts, for me it …my 6 year old daughter wants this after seeing the adverts, for me it looks like it might be a bit complex for her, is it easy it play? you need to wait until she's at least 7 i'm afraid. It's because it's one of these toys to life games. They drastically drop the price of the starter pack in the hope you spend £200 on additional figures. Can you play it 2 player Co op online? But the figures/ ships won't drop in price for a while. I went for amazon for faster delivery. I might be wrong lol. Thanks OP. Im really enjoying it and as all of the ships pilots and weapons are on …Im really enjoying it and as all of the ships pilots and weapons are on sale too now is the best time! I would suggest the Nadir ship, as its the only "outlaw" ship and if you get the "outlaw armour" mod during the game you can fly through the outlaw hideouts without the magnetic mines getting all up in your business!And if you also get Eli and Kharl (pilots) levelling these 2 up will let you access the Equinox upgrades that are specific to having these characters. So in short, one extra ship and 2 extra pilots will let you access pretty much everything. So about £20 extra spend? Which would be best to go for, PS4 or Switch?